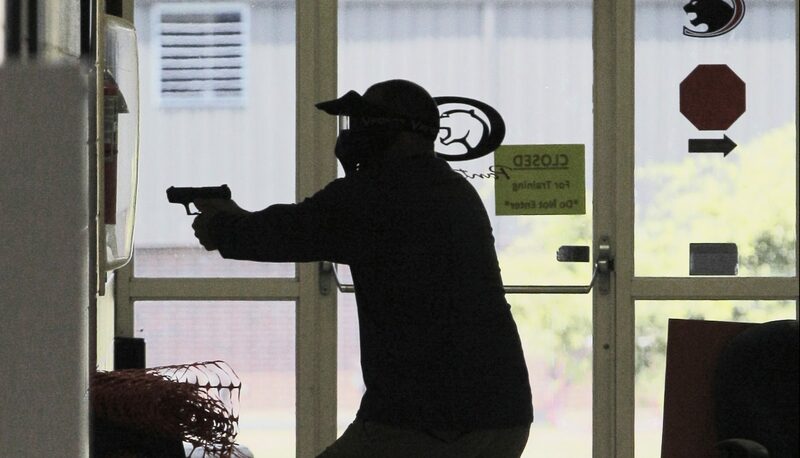 In this photo taken July 11, 2013, a Clarksville public schools faculty member, wearing a protective mask, participates in active-shooter training at the city's high school in Clarksville, Ark. Twenty Clarksville School District staff members are training to be armed security guards on campus. Pennsylvania districts are eligible for $25,000 safety grants per year, which they can spend on anything from counselors to metal detectors. 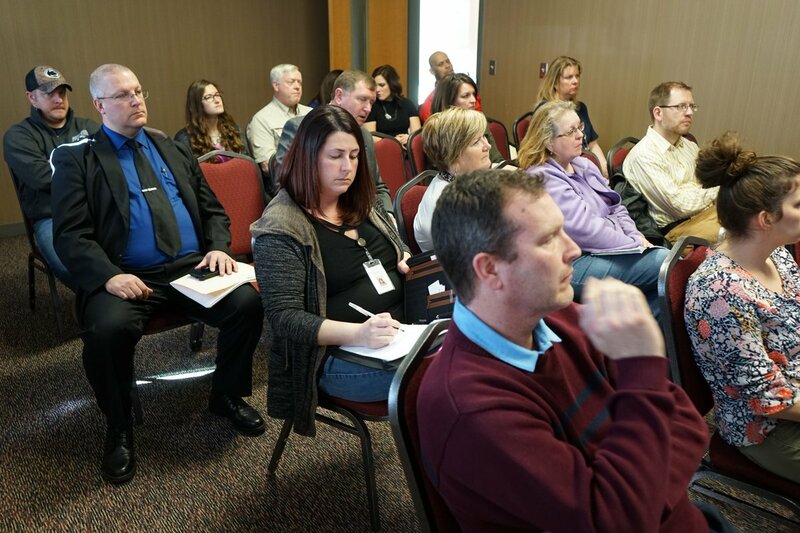 (Indiana, Pa.) — Before he began his presentation, Pennsylvania state trooper Clifford Greenfield gave a disclaimer: “Please note that the information contained herein is not designed to scare, produce unforeseen paranoia or cause undue worry.” Then he told a group of educators and administrators how to prepare for the possibility of an active shooter. 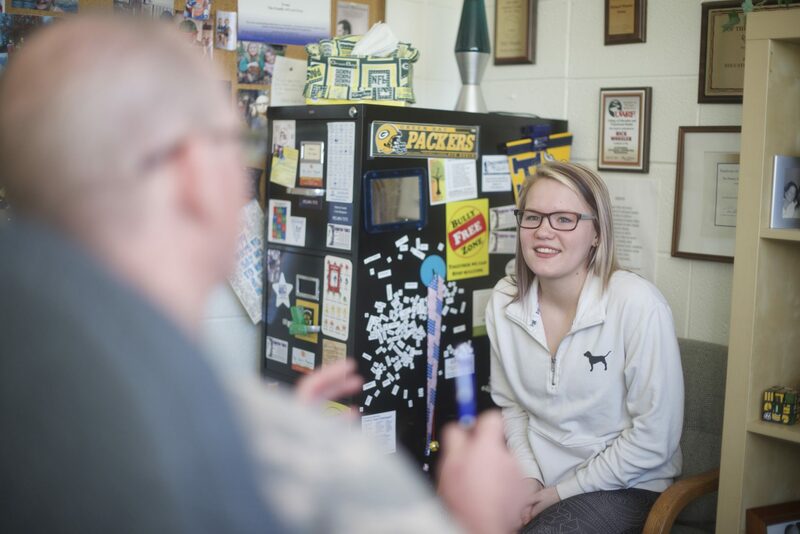 In this April 1, 2016 photo, Jasmine Hansen, an eighth grader at Hasting Middle School, talks with school counselor Rick Wheeler in his office in Hastings, Minn. Hansen is one of the almost 500 students that Wheeler oversees. Some lawmakers hope additional funding this year could help pay for more school support staff statewide and reduce Minnesota’s high ratio of counselors to students.